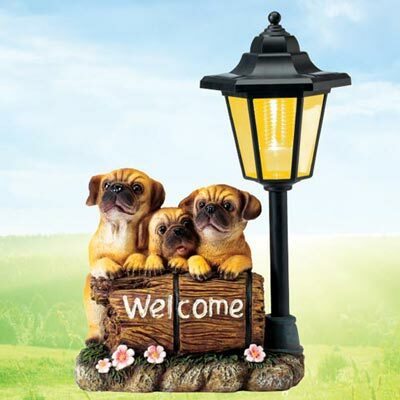 A trio of cute pugs provides a warm welcome to friends and family with this Welcome Pugs Solar Lantern. Solar-powered and made of weather-resistant resin, this outdoor décor will last for years and is sure to put a smile on the faces of all who visit. 14"h.